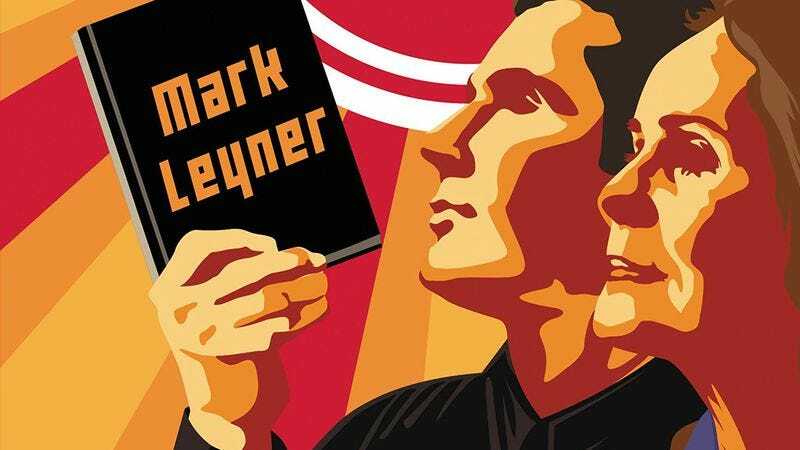 Mark Leyner is part of a group of authors who emerged in the early 1990s that approached their word processors with a joint in one hand and a pitchfork in the other, looking to burn down the static state of literature and establish something new in its place. David Foster Wallace is the most famous alum of this informal collective, but the cult of Leyner can be just as passionate, and understandably so, given how his work is structurally daring, stylistically innovative, sometimes funny, sometimes sad, sometimes both at the same time. He’s exhilarating and exhausting in equal measure. Leyner’s latest is an “autobiography”—it comes billed as a novel but certainly feels like something ripped from its author’s psyche—but true to his postmodern roots, it’s an autobiography in the Tristram Shandy vein. In Laurence Sterne’s book, the narrator attempts to tell the story of his life but can barely make it to his birth. Here, Gone With The Mind is set at a reading for Gone With The Mind, his in-book autobiography—a reading that never comes to pass. The book, which takes place at the mall food court that is the venue for the reading, consists of an introduction from Leyner’s mother, the transcript to a Q&A that features neither questions nor answers, and his pre-reading speech, the main audience for which includes Panda Express wage slaves on a seemingly endless break. Frequently “Leyner” will give a shout out to the utterly indifferent workers, a joke that, like Sideshow Bob’s rake, starts out funny, becomes tedious, and then circles back around to being funny again. Far from being an old-man screed, Leyner identifies and sympathizes with those feeling alienated; one of the closest relationships in the book is between Leyner and his “Imaginary Intern,” an emotionally fragile specter whose face was conjured up out of a cracked floor tile. The two attempt to write the autobiography we’re waiting to read, and tellingly, they want it to take the form “of a first-person shooter game that ends with unraveling the zygote in [his] mother’s uterus.” Mussolini and a flying balcony also figure prominently into the proceedings. Reading the book can be a confounding experience, one that works better on a page-by-page basis than it does as a cohesive work. Many of Leyner’s digressions and vignettes land—there are wickedly funny moments butting up against insightful bits of real emotion—but they don’t accumulate. The long “speech” section is disjointed and formless by nature, and though the ending clarifies the emotional logic that serves as Mind’s buried through line (it holds up much better on a re-read). First-time Leyner readers have only the author’s voice to pull them through; fans will not find this difficult, but newbies should start elsewhere.